In June 2016, Britain voted to leave the European Union after a small group of nationalists sold British voters a simple message: Brexit will be a quick and easy return to greatness. In July 2018, the Sunday Times, which supported leaving the EU, reported a plan to use the British Army to distribute food, medicine and fuel should the country collapse this month in the event of a no-deal Brexit. On 21 January 2019, Prime Minister Theresa May presented Plan B after parliament rejected Plan A by the largest margin in modern British history. May repeatedly tried – and failed – to renegotiate terms acceptable to the European Research Group, the far-right block of Tory MPs who demand a hard Brexit. With a few days to go before the second Brexit deadline (now extended to April or May, who knows), there’s still zero clarity about how Brexit will end, with Parliament now in control and ready to entertain any and all solutions to the deadlock. Apparently, a third vote on May’s deal to leave the EU is finally off the table, but who knows? Moving toward three years since Brexit vote, the only certainty in uncertainty. If there’s a lesson here for all nations, it’s the power of simple populist messaging combined with the appeal of demagoguery. In this case, former United Kingdom Independence Party leader Nigel Farage, former Foreign Secretary Boris Johnson and Michael Gove, now UK’s agriculture secretary, made promises no one could keep, from Brexit diverting 350 million pounds per week to the National Health Service instead of the EU to new and better trade agreements negotiated with individual EU countries via the World Trade Organization. Quotes such as “easiest negotiations in human history,” “Britain holds all the cards” and “take back our country” tripped off the tongues of Eurosceptics, who described a brave new world of rainbows and unicorns. Unfortunately, May’s Conservative government has proven incompetent at bargaining from a position of weakness, the interests of one country against those of a union of 27. Instead of improving its relationship with the EU, after almost three years, multiple rounds of negotiations and finally a deal that never had a chance of making it through Parliament, May is warning a no-deal Brexit will mean catastrophe but appears powerless to stop it. And that, as our Nina Avramovic put it all those months ago in her prescient post “Dear Brits; This is what it’s like to be a non-EU citizen,” means living in a whole new world of uncertainty, with limitations on travel, work and education. If there is any agreement between EU and British officials, it’s that customs arrangements, transport treaties and arrangements for financial transactions will end suddenly without any new agreements being put in place. And when that happens, everything changes. The bottom line, and there’s always a bottom line: A third country cannot have the same rights and benefits as an EU member. With a “soft” Brexit, the trade agreements, customs agreements and rules regarding the right of free movement between the UK and the EU would have remained in place during a transition period to new agreements. With a “hard” Brexit, there will be no transition, and the United Kingdom starts at zero on the same level as North Korea. If you’re an expat – especially a British expat – what does the UK’s inability to reach an agreement with the EU mean? • Poorly thought-out policies end up harming ordinary people. If there’s a hard Brexit, thousands of expats will see the lives they built end with the change of citizenship status. There’s the Scottish mayor of a German community who’ll have to give up his post. There’s the German doctor practicing in Belfast whose uncertain post-Brexit status in the UK has him applying to practice in the Republic of Ireland. And of course, there are the British farmers on the wrong side of the Irish border. They’ll instantly cut off from their markets in the Republic because post-Brexit, they’ll be required to take their products to new border inspection posts … at Dublin Airport, Dublin Port and Shannon Airport. If you’re saying to yourself, “Wow, I never thought about any of that,” well neither did the “leaders” who thought up Brexit. • A new 34-page document obtained by the Guardian shows that individual countries across Europe vary wildly when it comes to embracing their British expats post-Brexit. Especially if it’s a no-deal Brexit. The most generous countries including Denmark, Norway, Cyprus, Austria, Slovakia, Italy, Bulgaria, Malta, Croatia and Romania will automatically reclassify British expats in place as legal, long-term residents after they lose their EU citizen status. At the other extreme is Germany, which appears to be offering only a 3-month transition period. Many are far-right white supremacists who left the UK for countries they see as more homogeneous and monocultural. I used to be proud to be British but unfortunately am now ashamed our country is a dumping ground for immigration, our once calm streets are overrun by violent gangs and Islamic law is knocking at our door, the benefit system is out of control and the NHS is overburdened, that why I am in Spain. White flight is real. Australia must protect herself from the mess our leftist government has created. That “leftist government” the poster refers to is Prime Minister Theresa May’s Conservative Party. So, in the event of a hard Brexit and Rees-Mogg & Co. taking over, do they return to bask in the glory of a newly great Great Britain, or do they celebrate from afar? Or will they even have a choice if the EU and the UK come to a future showdown over immigration rules and freedom of travel? • Brits working in the financial sector are pouring into Luxembourg as banks, hedge funds and investment houses leave London so they can continue doing business with the Continent in the event of a no-deal Brexit. But British employees at the European Union are finding themselves increasingly persona non grata – even those acquiring European citizenship to keep their positions, according to a Bloomberg post. “We are hearing that U.K. citizens who have changed nationality are being told informally that they will be regarded as British for promotion purposes, i.e. they will not be considered for further career advancement,” said Fiona Godfrey, co-chair of British in Europe, a coalition of British nationals in the EU. By the way, the number of British citizens taking on dual nationality has more than quadrupled since 2015 to 435 people last year, according to Luxembourg government statistics. Apparently, the stain of Britishness endures at EU institutions … and the bitterness of divorce will linger long after the official termination of the union. • As the Big Brexit Reality TV Show enters the “Anything Goes” segment, a new parliamentary report finds that Home Office legislation will strip 3 million EU citizens in the UK of their freedom of movement, housing and rights to social security even though they might have lived in Britain for years and paid into the British pension scheme. The study by the Joint Committee on Human Rights found the May government’s proposed EU citizen registration plan post-Brexit does not provide physical proof of status. Labour MP Harriet Harman, who chairs the JCHR, noted the legislation would end the rights of people who have lived in the UK for years and might even have been born there. • We’ve tended to fixate on the down-side of Brexit. But there is an upside. A lot of British expats have done pret-ty well for themselves and have the assets to indulge their fantasies – that chateau or beach house somewhere warm and sunny. True, an apartment in Geneva, Rome, Frankfurt or Paris is going to run you millions. But you can live in some fabulous places for very little money, relatively speaking. Or to put it delicately, about the same amount of money you’d spend on a dump in Hull. Our American expat friend Lisa Verberne bought a huge house in a French village for a few thousand euros, then joined locals (including Brits) in creating a destination for creative types. CNN has a post about an entire island for sale off Sicily, on the market for the low, low prices of $1.1 million … the price for a cozy apartment Amsterdam. 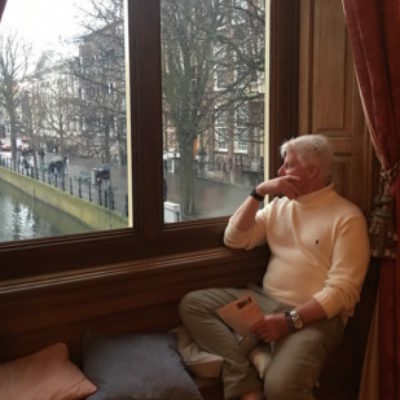 Finally, expats can invest as little as 250,000 euros – a bargain fixer-upper here in the Netherlands – on a property in Portugal, Greece or Malta and get a residence visa in the bargain ... a visa that allows you to work and travel in Schengen. Or you could stay in Hull. • A hard Brexit has already happened for many highly skilled internationals. Multiple sources say Brexit is driving top digital and tech talent to out of London, or dissuading them from ever considering the UK. Recently, an estimated 20 percent of tech workers came to the UK from EU countries. Now, Reuters has a new report that finds UK-based fintech companies are struggling to attract people with in-demand skills in coding, cloud computing, machine learning, software development, cyber, AI and blockchain. • There’s a certain irony to Brexit in that so many Brits suddenly fancy themselves Irish. A record 230,000 people have applied for Irish passports since the beginning of 2019, with 5,000 more expected to apply online just this weekend, according to Quartz. Most are citizens of the Republic of Ireland. BUT a large percentage of those applying are from Northern Ireland and the United Kingdom, doing whatever they can to maintain their freedom to work and travel in the European Union post-Brexit, one might conclude. You can check here to see if you’re eligible for a passport from the Republic of Ireland. The Republic – part of the EU – has seen an influx of jobs and capital fleeing the UK (see the following item). Which is great unless you’re trying to find affordable digs in Dublin. Why is all this ironic? Well, the English and the Irish have been fighting at least since the War of the Roses in the 15th Century. What would be equally ironic? Brexit leads to a united Ireland. • If Brexit has accomplished anything, it’s redistributing highly paid expats (particularly American bankers and hedge-fund executives) to other financial capitals from London. A March report from the New Financial think tank indicates that 275 banking and financial firms have relocated so far. The big winner is Dublin, with 100 relocations. In second place is Luxembourg City with 60. Paris( 41), Frankfurt (40), and Amsterdam (32) trail far behind the capital of the Irish Republic, according to the report. So far, about 5,000 positions and almost 1 trillion pounds will leave London for the aforementioned cities. “This is not Project Fear; this has already happened,” stated William Wright, the managing director of New Financial and one of the authors of the report. “It has been apparent to everyone in the City ever since the referendum that they needed to prepare for a hard Brexit,” he added. • As we predicted early on, Brexit is driving up housing costs for expats across Europe. So, if you’re planning to run away to Paris, think again. Radio France International has a post about the trickle of wealthy French Brexit refugees returning to the capital driving up housing costs, especially for 1 million euro-plus homes. Earlier this year, the most expensive apartment ever sold in France – 39 million euros worth – went to a French gazillionaire returning from London. • France and other European countries are struggling to craft, then enact, post-Brexit immigration policies when no one really knows what’s going to happen as the original Brexit date has passed. We read the recently approved new French rules and requirements and were totally baffled as to what they mean for actual people. We’re not alone. British expat group Remain In France Together reports that some municipalities have stopped processing the paperwork as an estimated 200,000 British scramble to understand, then apply for, various long-stay visa options. See RIFT’s detailed post here. • We love cosmic irony as much as the next person, but this rich. Farage & Co. sold Brexit to British voters as an instant return to greatness. Instead, it’s been EU countries that have benefitted as hundreds of companies, with thousands of jobs, have left the UK. Amsterdam officials are abandoning Dutch humility, bragging about how well they’re making out with Brexit. Amsterdam alone had record 153 foreign companies arrive in 2018, bringing 7,200 jobs with them, according to Politico and Dutch news releases. Half of the 4,000 jobs that will be created over the next three years are directly due to Brexit, according to city officials. And Rotterdam and Den Haag are also benefitting from Brexit. The only downside is, the Dutch aren’t sure where they’re going to put everyone. Big gets include Panasonic and Sony. Frankfurt is getting top executives from global financial giants UBS, Goldman Saches, JP Morgan and Morgan Stanley. Luxembourg is getting part of the JP Morgan Chase operations. Paris is getting Blackrock, Bank of America Merrill Lynch and parts of Credit Suisse. This is just a partial list. A full list would require a book. • If you’re looking for a place to flee what’s shaping up to be an ugly, ugly Brexit, then read this post on the Fortune website. “In Brexit, could Dublin wear the crown?” reporter Richard Morgan has a long, long list of how the Republic of Ireland already is reaping the benefits of being like the United Kingdom, but not part of the United Kingdom. The fastest growing economy in the EU just keeps welcoming financial firms. Morgan writes that Ireland’s reputation for “calm and clarity” has turned it into an attractive destination for at least 12,000 British jobs, according to the City of London’s own estimates. And Dublin is a – if not THE – European digital destination for American tech giants and their well-paid employees. • Russian entrepreneur Nickolay Storonsky has a warning for British officials … create fast-track visas for foreign tech talent, or risk falling behind the rest of the world in fintech. Storonsky is the founder of the digital bank Revolut. “With all of the political uncertainty kicking off right now, lengthy immigration processes and bureaucracy will only slow down the UK fintech industry’s growth, and we risk losing out on the best talent to other EU countries such as Germany and France,” he’s quoted by City A.M. as saying. That, of course, is counter to the core tenents of hardline Brexiteers, who want to block EU residents from moving to, and working in, the UK. British citizens are about to join expats from Syria and Libya at the back of the line. Switzerland is instituting a quota system that will limit the number of Brits coming to work to 3,500. At first, we thought this was The Onion. As part of its ‘Mind the Gap’ strategy, the Federal Council decided at its meeting on 13 February to introduce a separate quota as a temporary measure, allowing 3,500 British citizens to work in Switzerland. This is intended to mitigate the consequences for the economy and the cantons of an abrupt change in the status of British citizens from persons benefiting from freedom of movement to third-country nationals; it will also prevent undesirable competition for jobs between British citizens and other third-country nationals. The good news is, the roughly 42,000 Brits already living in Switzerland get to stay. This just applies to new economic migrants wishing to come and work in the Alpine paradise. Switzerland isn’t an EU member but observes many of the EU rules and regulations. So if this is happening in Switzerland, then it could happen in other non-EU countries with large British expat populations. • As we’ve posted earlier, the number of companies bailing on Britain is increasing. In February, Dutch officials acknowledged they have 250 companies in their sights. About 42 companies representing 2,000 jobs already have moved to the Netherlands from the UK, according to this post in DW. Which is good news and bad if you’re an expat already living in, say, Amsterdam or Rotterdam. Yes, those companies are bringing new career opportunities. But housing prices and apartment rental rates in all the major Dutch cities already are through the roof, so you wonder where these people – mostly highly paid executives at HQs – are going to go. If you use that same math, that’s an average of about 50 jobs per company, and let’s be honest … most are going to Amsterdam. So multiply that times 250 companies, and that’s 12,500 people. Which means basically adding the population of a small city to a large city. To a large, overcrowded city. “Not only do we have the better pay, better social benefits and better working hours, we also have the better weather, the better food and the shorter way to Poland,” the ads read. This is getting cra-cra! • As of 29 March, Brits will say goodbye to freedom of travel throughout Schnegnen. BUT, as a consolation prize, EU ambassadors are proposing short-term visaless travel. UK citizens going to the Schengen Area would have the right to visa-free travel for 90 days in any 180 days, according to a news release from the European Council. And of course, our old friend Reciprocity comes into play on this. For this to happen, the UK would have to extend the same courtesy to EU citizens, which the May government has already offered to do. So don’t cancel that vacay to the Spanish beach just yet. • This is from BuzzFeed, a “news site” that’s better at reporting on Zac Efron dying his hair than accurately reporting hard news. But BuzzFeed reporters claim to have the documents to back up their story. And it’s quite a story: A government memo predicts that between 50,000 to 250,000 British expats living in the EU could return home in the event of a no-deal Brexit. And these aren’t just any expats … these are pensioners who – the memo states – would put a lot of pressure on the UK’s healthcare system and other public services. A “worst-case scenario” is that 150,000 return the first year, followed by a wave of 50,000. Government officials have told BuzzFeed the memo is outdated and they’re projecting 50,000 to return in the first year. 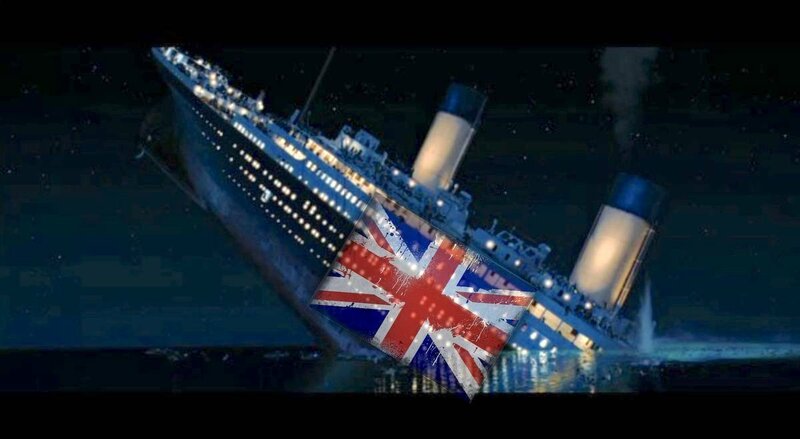 • Those expat pensioners will be hightailing it back to Blighty because the British government just notified them the Queen will no longer pay for their healthcare should the UK leave the EU without a deal. • At the 60-day mark, it appeared that Germany and other countries would give British expats transition periods … but with one serious stipulation: They can’t leave. When they register for the new registry title, they get back a reply (at right) that states that while they can stay in Germany, they can’t travel to other European countries or reenter Germany. • Yes, Theresa May was probably bummed after her historic defeat on 15 January. But Frankfurt’s commercial real estate brokers are giddy. Brexit is boosting Frankfurt’s commercial real estate market to record heights as every major global financial giant relocates from London including Goldman Sachs, Citi, JPMorgan Chase and Barclays. The number of financial jobs at foreign-based banks in this city on the Main River is expected to increase to 8,000 from 2,000. Good news for our highly skilled internationals. • Paris, Frankfurt Luxembourg City and Amsterdam are threatening London’s position as Europe’s money magnet. An EY study finds the amount of foreign capital headed for France has soared, with Paris beating London out of its top spot in terms of attractiveness to investors for the first time since the report began in 2003. Frankfurt saw a total of 10.4 billion euros in commercial real estate transactions last year, an all-time high, up 36 percent from 2017, according to BNP Paribas Real Estate data. Dublin is getting Hermes Investment Management, a $30-plus billion fund run by a former Fidelity executive, and Amsterdam is getting Norinchukin Bank, one of Japan’s largest. So, Brexit is an engine driving a dramatic redistribution of wealth to Europe’s other financial capitals. • You know that worst-case scenario that had British expats loaded up and shipped back to the UK in the event of a no-deal Brexit? Well, more and more EU countries are making sure that won’t happen. The Dutch government just announced that British nationals will get a 15-month transition period post-Brexit during which they can apply for a residence permit, according to media reports. Berlin officials have issued a notification that clarity on Brexit is lacking. “Whatever happens, British citizens will in future require a residency title or some other proof of their right of residency in order to reside in the territory of Germany,” according to a news release posted on Berlin.de. Starting 30 March, British citizens in Germany will get an initial 3-month transition period through 30 June 2019 to get that German residency title. So all British citizens have several months to apply for residency title at their local Foreigners Registration Office, and you can stay in Germany and keep working till you get a ruling on your application. But after 30 June, British expats will have to prove their right to stay, which we interpret as an employment contract or one of the visas for self-employed freelancers and entrepreneurs. Several other countries have followed suit, so we have a full round-up post here. For the record, we were right all along – we stated more than a year ago that British expats who’ve lived for years in Germany, Spain, France and other countries could be forced to return home. Unless … unless countries with significant British expat populations extend retroactive long-term residence visas effective 30 March 2019. Which is exactly what’s happening, thank goodness. • The question is, what will UK officials do for EU citizens??? In a move toward a quid pro quo, May sent an email to 100,000 EU citizens in October 2017 assuring those in the UK legally that they will be allowed to stay after Brexit, according to the Guardian. UK officials then registered an estimated 4 million EU residents in the UK. Post-Brexit, they will be required to have official identification numbers that will be used by employers, landlords, banks and public services, including hospitals. All we keep hearing in our heads is, “Brexit means Brexit.” Apparently not. • If there is no agreement and UK officials decide to expel EU citizens, Romania, Bulgaria, Poland and other countries in Eastern Europe and the Balkans would staunch their brain drains. The Guardian reported last year that the number of Romanians and Bulgarians in the UK rose 80 percent between 2014 and 2016: to 413,000 last year from 230,000, according to the Office for National Statistics. Now, Bulgaria, Romania, and Poland need those people back as their own economies expand at a pace far faster than the UK. Bloomberg has reported an increasing labor shortage in the UK as EU workers leave and wages rise as Romania and other countries want their skilled citizens back. Romania, Poland and other countries in Emerging Europe have fast-growing economies, averaging above 4-percent GDP growth since 2015. • Ironically, life for anyone going anywhere is about to get a lot more complicated. Republic of Ireland Prime Minister Leo Varadkar recently warned that at midnight on March 29 , planes leaving the UK could be prevented from using Irish airspace as the republic remains in the EU. The UK’s post-Brexit default trade status under the World Trade Organization does not include commercial travel rules. The Guardian has an in-depth look at how port authorities in Rotterdam – Europe’s largest, busiest port – are preparing to deal with a no-deal Brexit. And “Rotterdam prepared for worst when Britain crashes out of EU” might be the scariest Brexit post we’ve read so far … and that’s saying something. For instance, at the stroke of midnight on 29 March next year, Rotterdam port workers will have to run checks on 10,500 newly “foreign” boats, according to the post. Those would be ships coming in from the UK. For every container ship that moves between the UK and the EU, there would be a whole new layer of documents and requirements for businesses on both sides of The Channel. To prepare, the Port of Rotterdam is hiring 928 extra customs officials and 145 veterinary inspectors. The UK depends on just-in-time shipments of fresh food from the Netherlands. That will all end …. • If you’re an expat in, say, Frankfurt or other financial centers, get ready for housing costs to skyrocket. Or settle for living in villages, towns, and cities within driving/train distance such as Darmstadt, Griesheim and Wiesbaden outside Frankfurt. Top execs at large corporations – including those at British-based multinationals – are starting to doubt the UK can get a deal. If they decide to wait it out, a no-deal Brexit could conceivably cut their access to the world’s largest trading bloc while forcing them to scramble to find a new home at the last minute and spend millions of extra dollars/pounds/euros to do it. So you can look forward to an unending series of announcements about these companies heading for the Continent. This scenario will be repeated around Europe from Amsterdam to Paris as multinationals leave the UK to protect access to 500 million customers in the EU as opposed to 60 million in the UK. So, Brexit pushing so many well-paid people into Frankfurt, Paris, Berlin, Amsterdam and Luxembourg will put pressure on housing markets in innovation centers, many of which already are seeing residential rents and sales skyrocket, not to mention the cost of office space. • Conversely, finding a job in Europe could become much easier for non-EU talent from the United States, India, Mexico and other countries. Britain has been, compared to Sweden, Germany and the Netherlands, a walled garden even though it has the No. 1 tech and startup scene in Europe. With banks, car manufacturers such as Ford and advanced manufacturing leaving the UK, expect an increase in opportunities in the EU, where highly skilled internationals are welcome. The downside is, this will put even more pressure on countries such as Sweden and Finland, where labor shortages are becoming critical. • The British expats returning to the UK could look forward to empty shelves in stores. Why? Because the UK imports twice as much food as it exports. The irony, of course, is that you can almost swim from the coast of England to the Netherlands, which is the No. 2 food exporter in the world. How badly does the Netherlands need the UK? Try, not at all if that means tariffs. There are still 27 countries in the EU. And Britain still has to import food from somewhere. • Brits are about to become poorer. Honda and other companies have long warned that if there’s a hard Brexit, they’re out of here. Several auto industry insiders warned the industry could go “extinct” after Brexit. Last April, British manufacturing had its worst month in five years while that most English of all car companies, Land Rover, announced plans to move some production to Slovakia. Worst of all, it appears EU rules dictate that when assembling vehicles, at least 55 percent of parts must come from inside the EU, which could mean suppliers in the UK would be cut out. • To be fair, the United Kingdom has (had) the world’s fifth-largest economy, just behind Germany and one place ahead of France. The International Monetary Fund says that when the UK leaves the EU, there will be no winners. IMF analysts said that the EU could lose as much as 1.5 percent of gross domestic product from a “hard” Brexit while the UK would suffer an even bigger hit – a 4-percent loss of national income. • Brexit was supposed to be about a more secure Britain. Turns out the opposite will happen. Leaving the EU means that British police will no longer have unrestricted access to the EU’s databases for crime fighting such as fingerprint or DNA archives. Nor will they have access to counter-terrorism data. Worse, E.U. law enforcement officials will scrub UK data and will require their British counterparts to scrub EU data, according to the Washington Post. Brexit also closes the door on some military cooperation and intelligence sharing. So it’s no surprise that Vladimir Putin is a huge Brexit fan. Do we think all of this will happen? It depends. Brexit is a divorce and divorces are always bitter. And despite what the Brexiteers claimed, the UK has very little leverage when it comes to competitive advantage. Other than finance and Rolls Royce jet engines, Britain doesn’t do anything – build cars like Germany, create ultra-high-tech like the Netherlands or excel in aircraft manufacturing like France – better than any other country. If a new government came in, that might change the tenor of the talks with EU officials. Or it could even lead – best-case scenario – to the UK rethinking the wisdom of continuing down a road that leads straight over the White Cliffs of Dover. But you have to wonder if the relationship between the UK and the EU can ever be repaired under any circumstances.